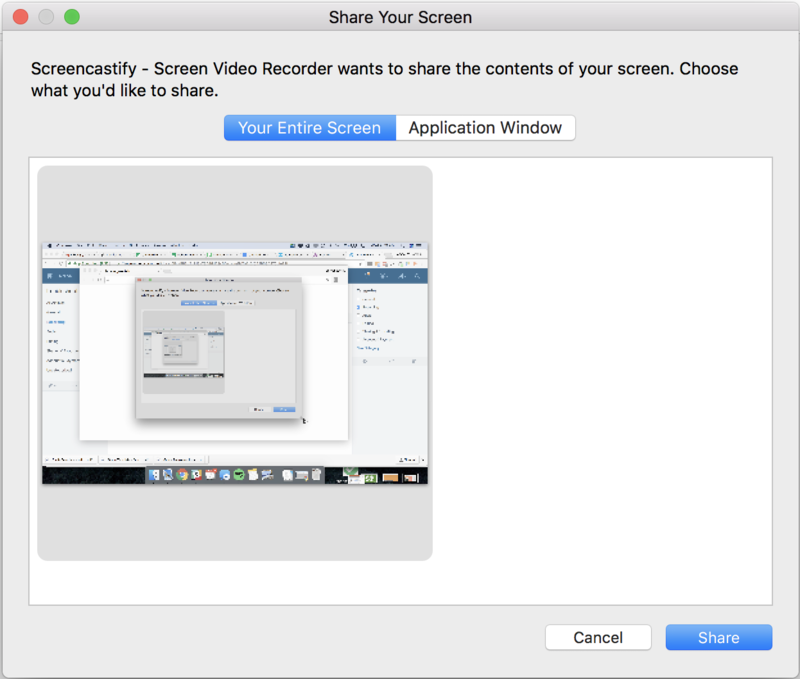 If you choose to record an Application Window, Screencastify will only capture that application (e.g. Microsoft PowerPoint). However, if you enter full-screen mode with that application, Screencastify will no longer capture anything. The reason for this is that full-screen mode is technically a separate "application" from your operating system's perspective. To record an application in full screen, simply choose to record Your Entire Screen and not an Application Window. This will capture everything on your screen, regardless of whether an application is in full-screen or not.